Give someone full editing rights for the group by adding them as an owner of the group. If you create a group, you are automatically set as an owner of it. If you create a group for someone else, and do not want full editing rights, remove yourself as an owner. To add an owner, in the Add Person box, begin typing the person’s name and click it when it appears. To remove an owner, click the x next to the person’s name. 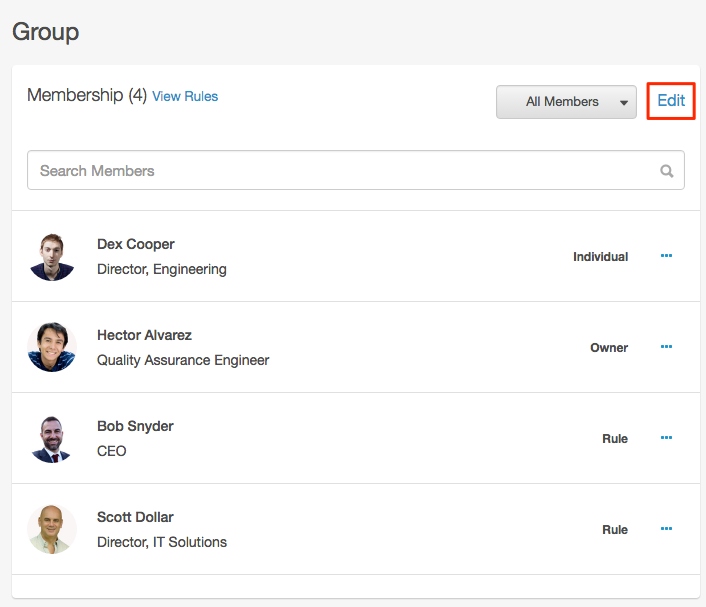 Note: After you remove yourself as an owner, you no longer have editing rights for that group unless you have a role with the Group_administration permission in PureCloud.